Spending our days taking tea for two, we don't often get to meet many other other bloggers so we were very excited when we were invited along to our first blogger Afternoon Tea event at Patisserie Valerie, Manchester. 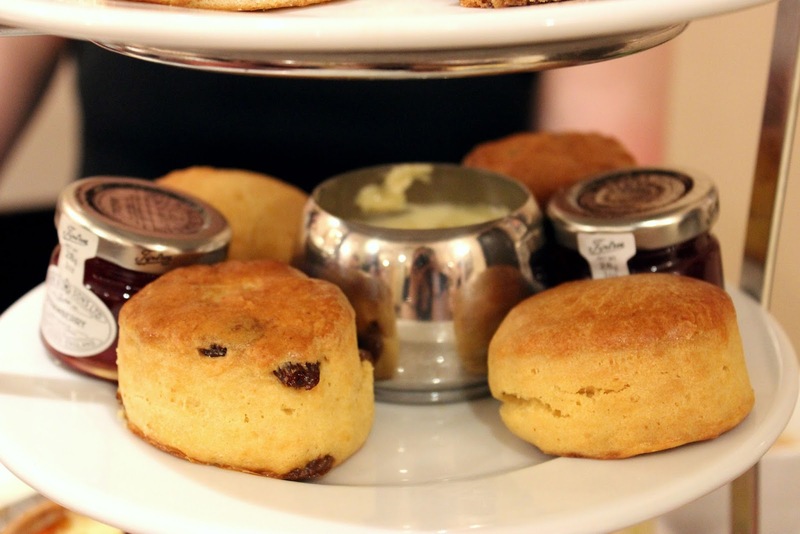 Having visited this fabulous high street, Belgian-born tea shop on many occasions for coffee and cake (check out our review), we were rather happy to learn of their brand new traditional Afternoon Tea offering. 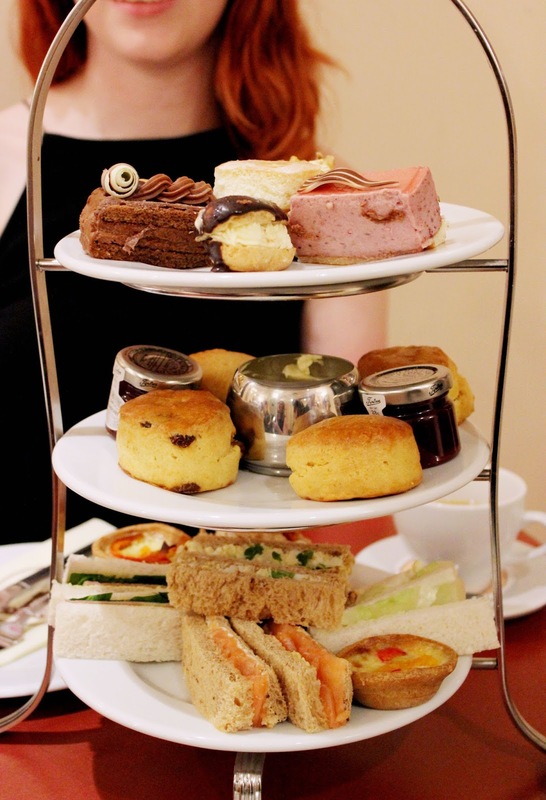 Served on a three tier stand, this collection of mini treats houses all of the favourites you would expect from a classic Afternoon Tea menu and a little taster of Patisserie Valerie's famous cakes. The "jam or cream first?" discussion of course came up! To start we had a selection of finger sandwiches including smoked salmon with cream cheese, classic cucumber, egg mayonnaise and cress, ham and mustard, chicken with pesto and sun-dried tomatoes and for something a little different, a mini vegetable quiche. Our fave was the chicken but it looking around the table, our blogger friends were huge fans of the quiche. A couple of good sized scones followed with our own individual pots of jam complete with their own unique message - "Spread a little joy", very cute! 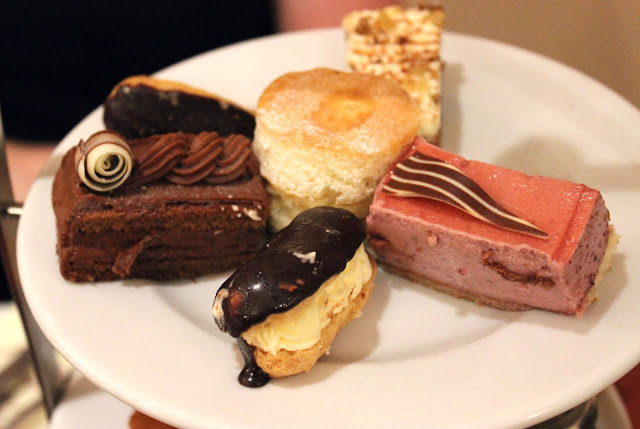 Then for the best bit, the patisserie selection which included chocolate eclairs, Victoria sandwich, carrot and walnut cake, double chocolate mousse and a mixed berry mousse slice. The whole table was drooling over the berry slice and we can concur, it was delicious but for us the winner had to be the super indulgent chocolate mousse. A taste of Patisserie Valerie. To top it off we each had a pot of Earl Grey - probably not the most exciting choice we could have gone for being the resident tea experts but you can't beat a classic! All in all, a lovely afternoon spent with some equally lovely ladies - even with the miserable Manchester rain (Come on, it's July!). Patisserie Valerie's Afternoon Tea for Two is priced at £25 and available from most stores across the UK. For more information, visit their website www.patisserie-valerie.co.uk. Oh that Patisserie selection looks heavenly! I love the look of the glossy chocolate on that eclair. It looks great but I'm not a fan of Pat' Val'. It disappointed me in Edinburgh.